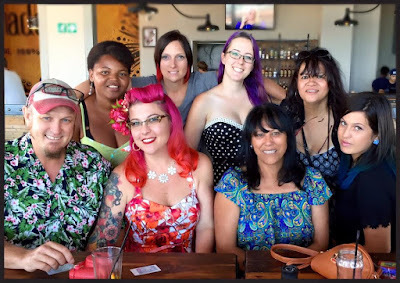 Miss Happ Rockabilly and Pin Up Clothing: Cheers to the end of the year! Cheers to the ending the year! On the 23rd we had our staff Christmas party which we decided to have this year at Jerry's Burger Bar, Bloubergstrand. It was a great afternoon with many laughs, delicious food and a great team to share it all with!